Citra Indah menemukan anak nakal yang jadi presiden. Viktor sering diplesetkan menjadi Pikiran Kotor. Tapi kali ini Anak bernama Viktor yang terkenal nakal, sekarang menjadi presiden. It's Great! 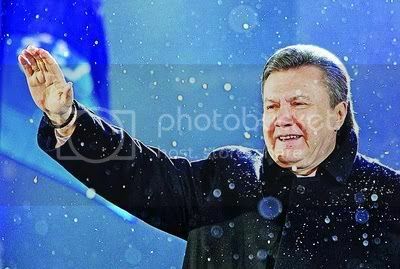 Pengadilan Ukraina membatalkan perolehan suara Viktor Yanukovich pada pemilu 2004 karena dianggap curang. Revolusi Oranye di Ukraina, bekas bagian Uni Soviet menjadi pro-Barat. Lima tahun setelah revolusi, target Ukraina menjadi anggota Uni Eropa tidak tercapai. Pemerintahan pro-Barat Presiden Viktor Yushchenko dan Perdana Menteri Yulia Tymoshenko gagal membawa warga Ukraina keluar dari derita ekonomi. Pada 2009, ekonomi Ukraina menyusut 15 persen, tingkat inflasi 16,4 persen. Ukraina tetap tergantung terhadap Rusia, baik ekspor maupun impor. With 2008 already on us when we look forward with great hope and enthusiasm, we must also prepare for the end of the year when we can look back with lot of satisfaction. Read more: Do You Think You Could You Have Achieved More? Have you set resolutions for yourself to accomplish in 2012? Maybe you want to get more exercise, eat healthier, or spend more time with your family. If you''re in business for yourself, maybe you are thinking about hiring a bookkeeper, working fewer hours, or beefing up your marketing plan. All of those things are very good goals, but how do you really feel about them? If you''re like me, you probably think that you need resolutions, and furthermore, you have to accomplish all of them in order to be successful. How can we not feel that way when the media is chirping away about making and keeping our new year''s resolutions? Read more: New Years Resolutions? 1. Recognize that you are the source of everything that you want. Stop waiting to inherit it, win it; marry it, or expecting it to come from any source other than you. You can have anything that you want, all it requires it working with thoughts, feelings and intentions. It is known that the human body sends out vibrations: some are positive, while others are negative. We have orbits formed by people who surround us and with whom we associate closely throughout our entire lives. In my book "The Art & Craft of Success: 10 Steps" by Ostaro, I expand fully on the impact people have upon us. You know that old saying -- if you don''t know where you''re going, any path will get you there. That''s what happens if you don''t take the time to figure out what your goals are and WRITE them down. There''s power in writing things down (and if you''re a writer, you already know this). We''ve just gone from "the Holiday Season" to the "Goal Setting Season." Each year, about the time we turn our calendars to a New Year, we hear a lot about goal setting (even though it is sometimes disguised as information about making your New Year''s Resolutions). While the research and polls show that most people don''t set goals, most everyone thinks about it at this time of the year. At this point in time you have an opportunity to really analyze your life. Where you are right now and where you want to be in the future. Now is your chance to take a close look at what you would really like to do with your life. Perhaps you have never dared to choose a path based on your true desires, you have purely gone with the flow. This is now your chance. Left Your Job On A Matter of Principle! Intrapersonal Communication', 'What is intrapersonal communication?